Enhance or add features and functionality to your Magento store. Mention Magento Marketplace. If you have a specific need or functionality not available in a current Magento extension, we can custom-build an extension for you. Perfect for B2B customers who need to place large orders of multiple products with many attributes (e.g., size, color, etc.). Products can be selected directly from the category page, avoiding the time-consuming task of drilling down to individual product pages. Simple, near-native UI designed to blend in with existing Magento functionality. 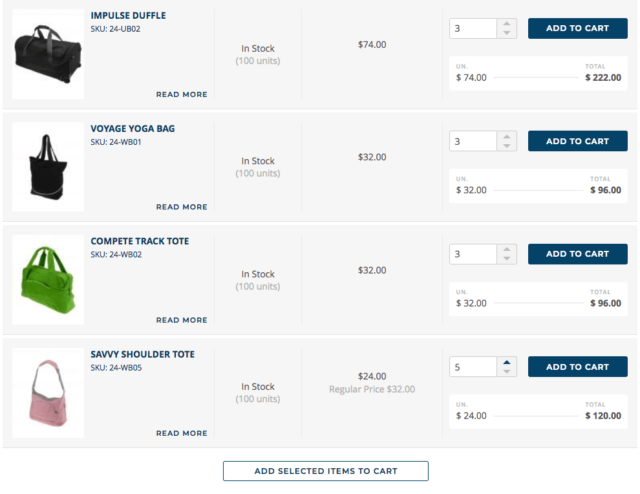 Intuitive add-to-cart text fields for fast and easy checkout. Complete support of different product sizes, colors, and styles. Saves filtering preferences on category pages when they drill down to the product page level, removing the need to reselect their filter selections (e.g., size, style, color, etc.). These preferences “persist” when the customer navigates to a different webpage, and when they expand the product details of an individual item, allowing them to quickly shop and add their preferred items to their carts – without having to reselect their preferred size, style, and other such selections. 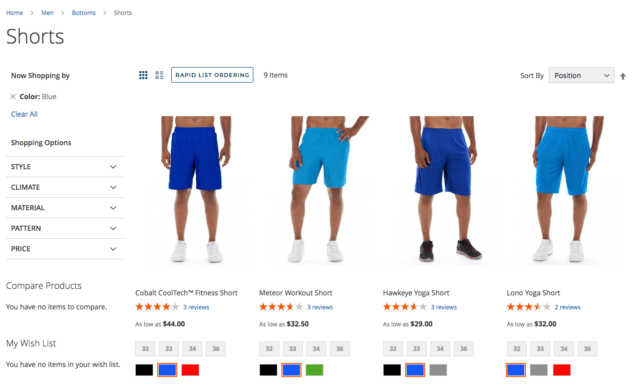 Filtering preferences persist on product detail pages. Minimal impact on loading time and site performance.